Most people want an advisor who keeps up with the latest investment news and innovations. But they also want someone who will steer them away from bubbles and fads, and help them to stick to their long-term financial plan. How do advisors walk that line? Well, at Halpern Financial, we do a lot of critical research. 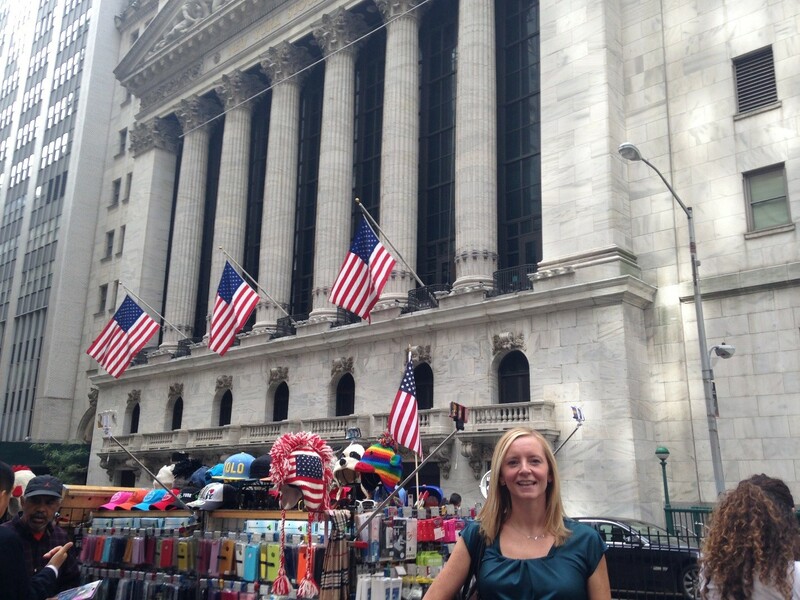 And sometimes, we even go directly to the center of the financial world to find it. 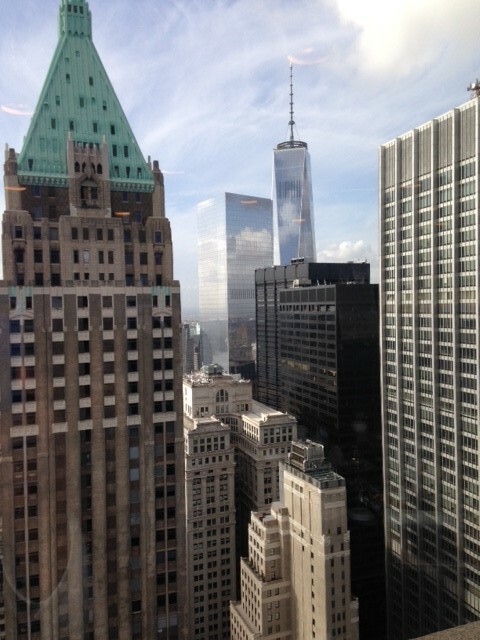 This week our President and Founder Ted Halpern and Portfolio Manager Kirsty Peev attended an investment research conference at the Deutsche Bank headquarters—just steps away from the New York Stock Exchange. There is something special about walking the same ground that J.P. Morgan did on the afternoon of October 24, 1929, when he and other wealthy financiers ran into the New York Stock Exchange and tried to reverse the crash by buying as many stocks as they could. Now that electronic trading algorithms dwarf the capacity of NYSE floor traders, you just don’t get stories like that. But when making investment decisions, it’s important not to get too caught up in the story, the history, or the marketing campaigns. Instead, focus on the data and dig into what’s happening behind the scenes. 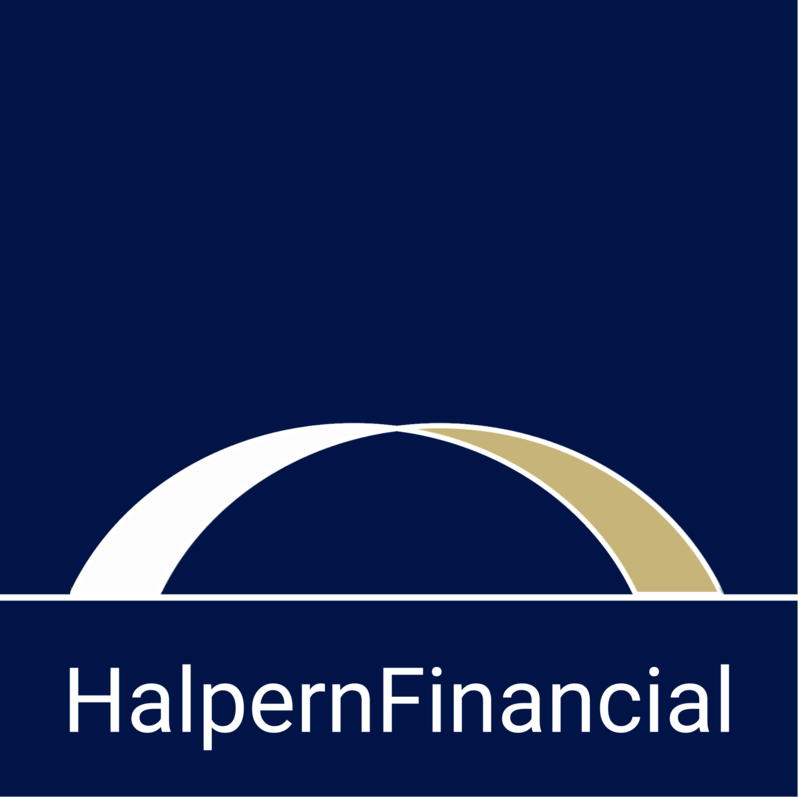 Though Halpern Financial is not tied to using any one company’s products, we are fortunate that our institutional access allows us to learn from the brightest research minds in the industry. We visit regularly with Goldman Sachs, JP Morgan, Fidelity, Vanguard, American Century and Deutsche Bank – just to name a few. 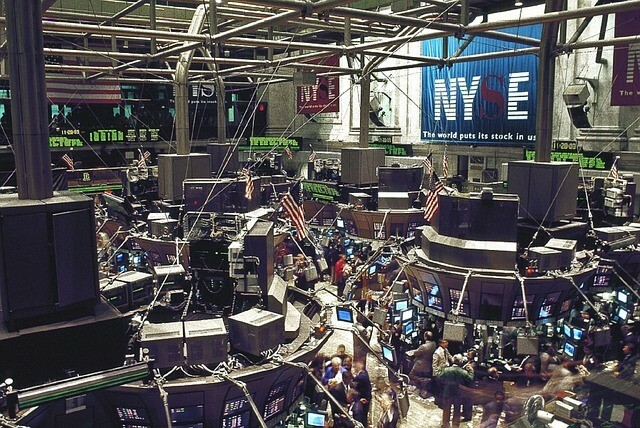 We attend these research symposiums to examine fund companies at their source. We kick the tires of their locations, and talk with the fund managers, chief investment officers, chief economists and even their top management to learn about their offerings and new methodologies. Does it serve our clients? This is number one. If a particular investment doesn’t pass our screens for low fees, tax efficiency and transparency, we don’t use it. Is the research sound? There is no shortage of investment strategies invented every year. For the most part, we prefer time- and research-tested methods over ones that have yet to prove themselves. However, we do keep our eyes and ears open to new academic research in case a new strategy might be useful to even one or two of our clients. ‘Boring’ is beautiful. To many investors, researching bonds is about as exciting as waiting at the DMV. But at this particular research conference, the fixed income session was portfolio manager Kirsty Peev’s favorite because of the consistent, steady long-term performance. In our mind, a steady, disciplined march is anything but boring. We’re happy to say that we came away from the research conference with plenty of ideas, but our work isn’t done. Now that we’re back at Halpern headquarters, it’s time to follow up on all of the great ideas we encountered at the research conference, and find out what aspects might be applicable to our firm. Constantly refining our offering to our clients is why we love what we do!